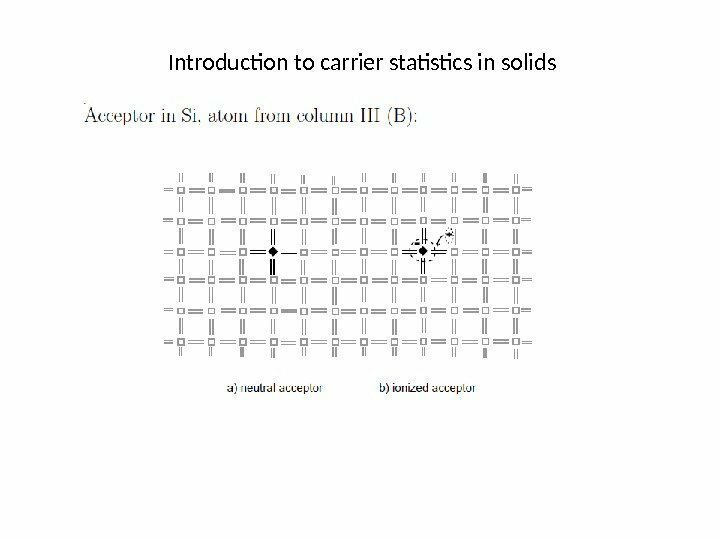 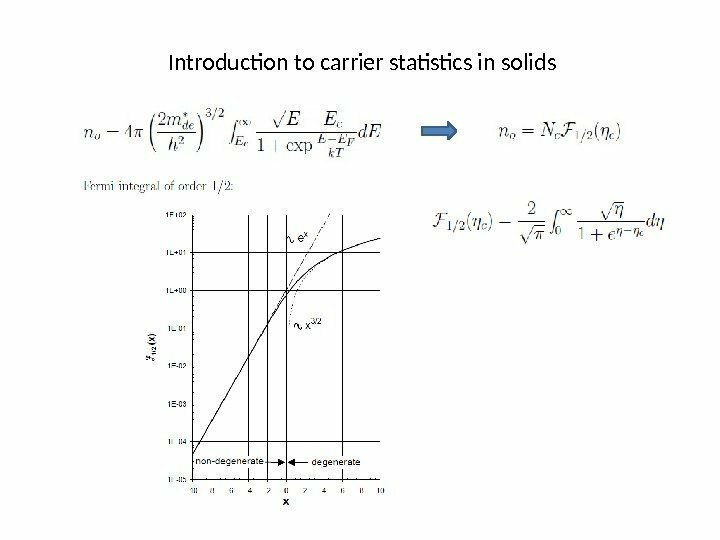 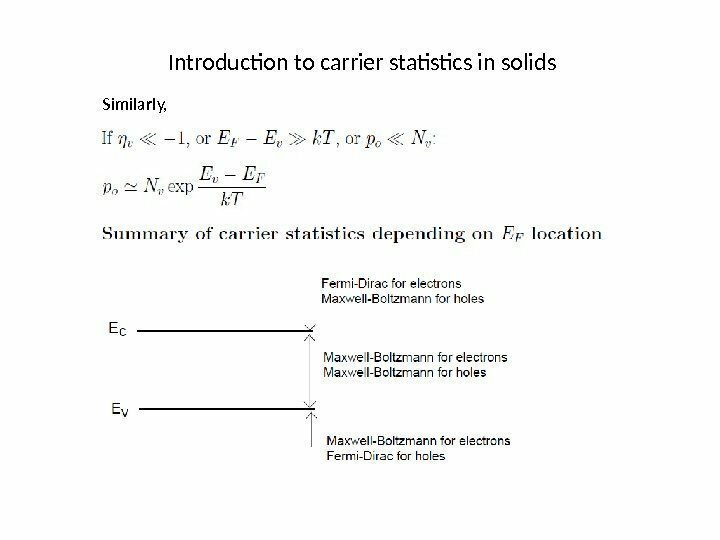 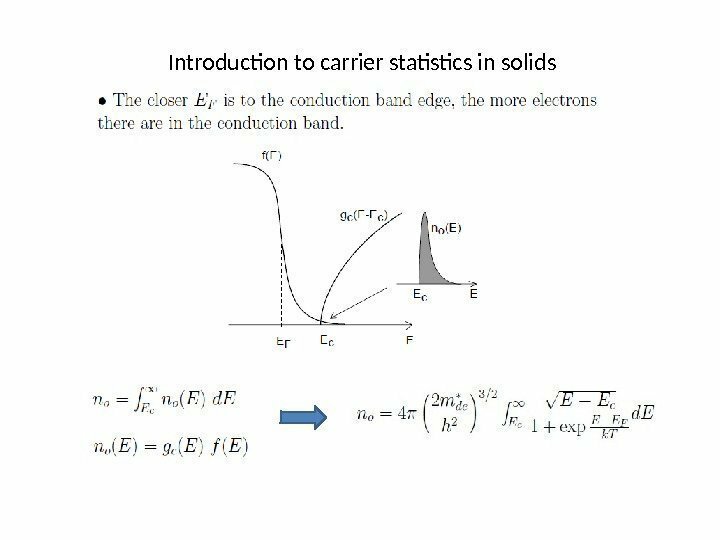 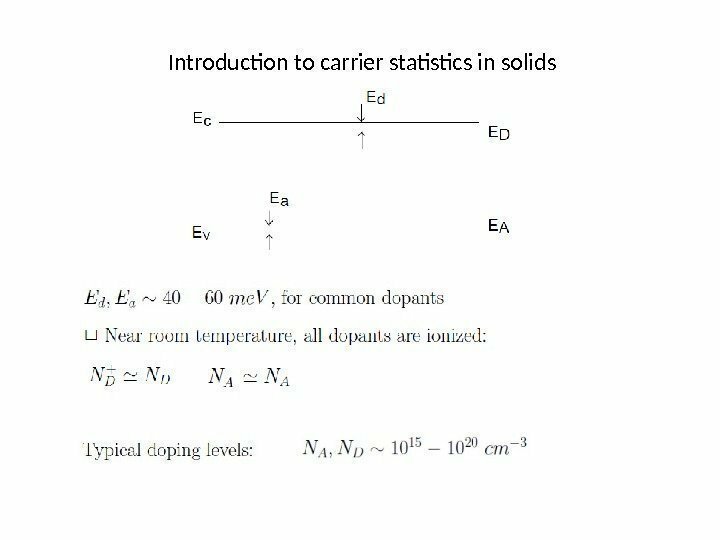 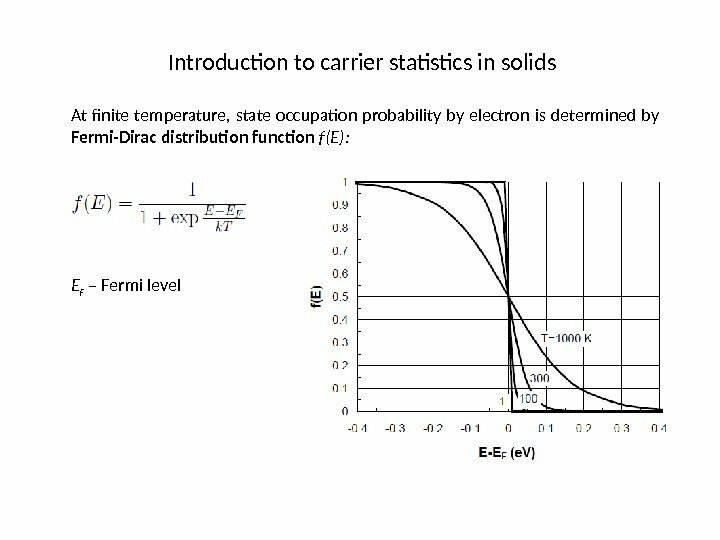 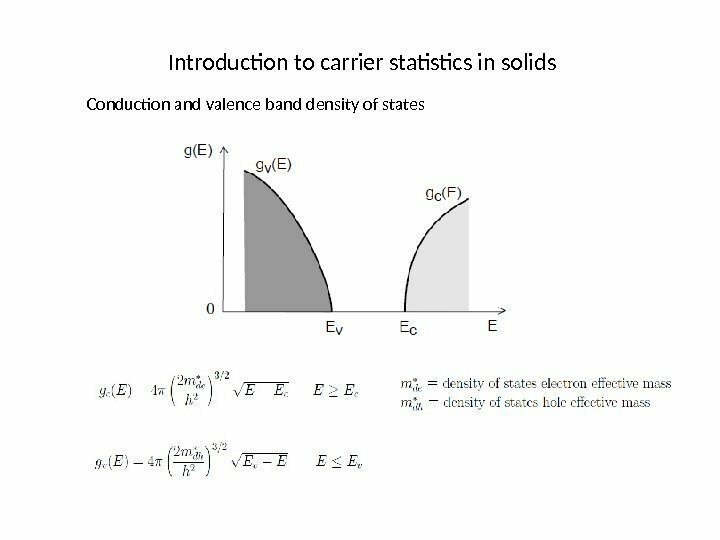 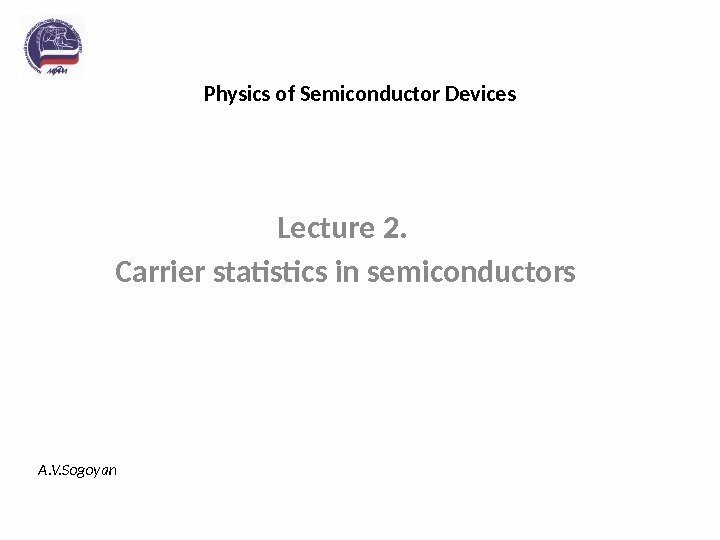 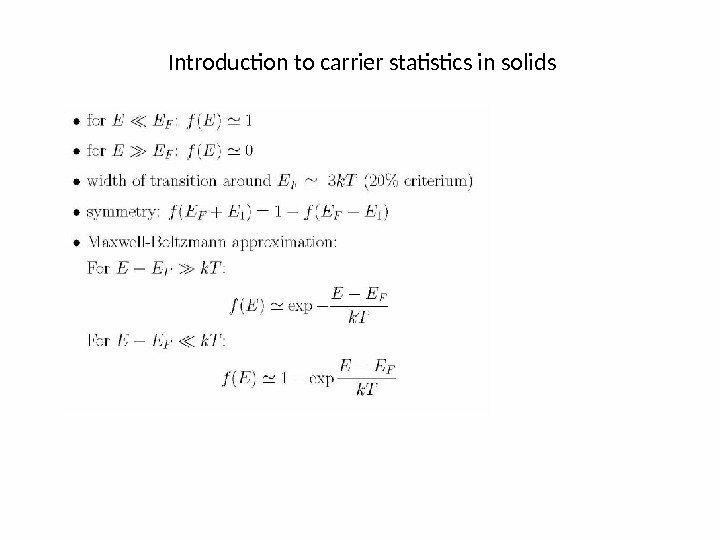 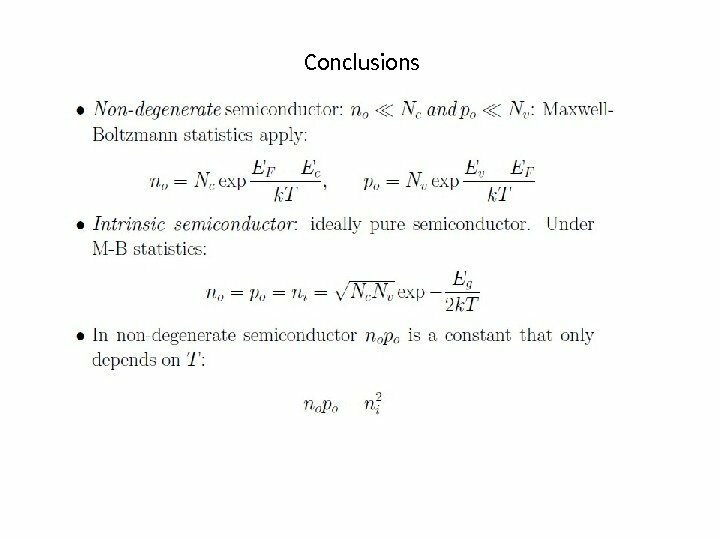 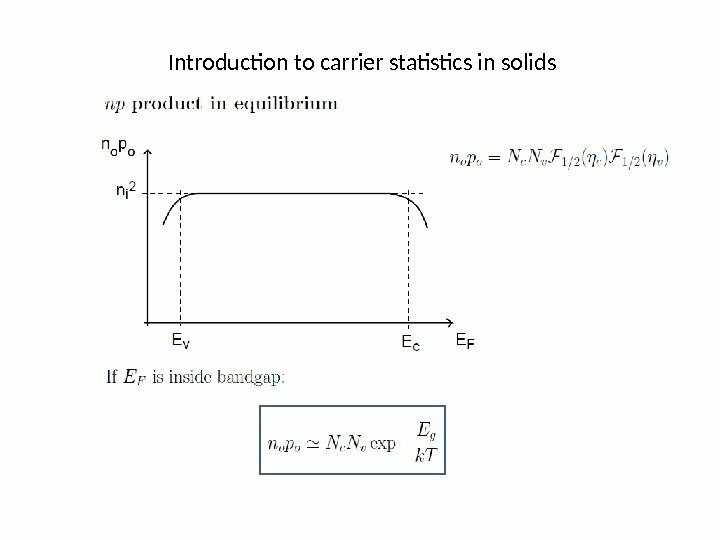 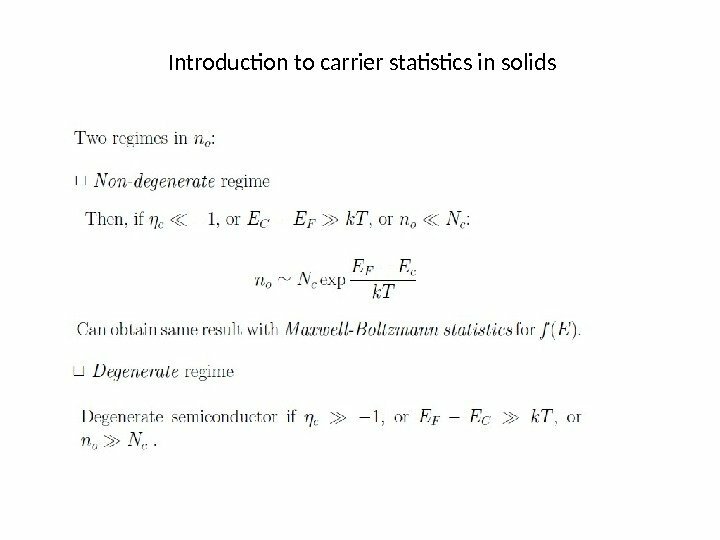 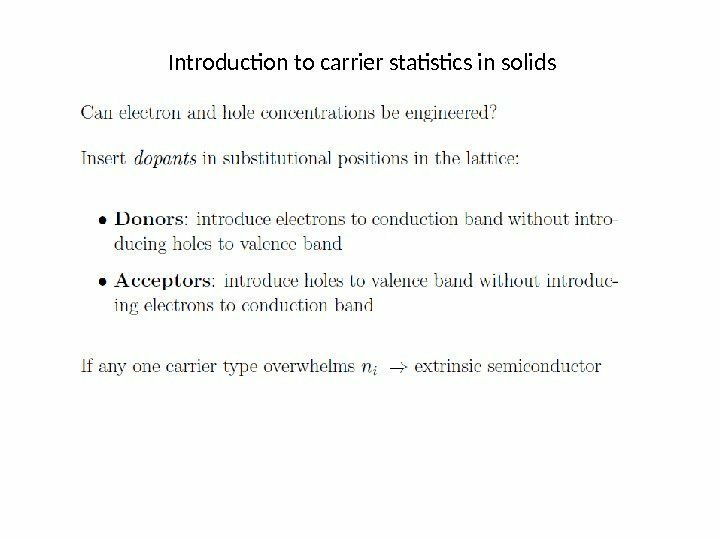 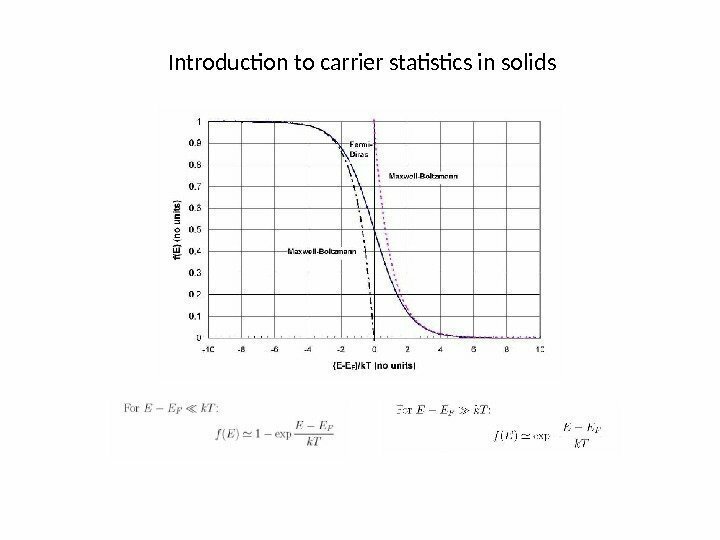 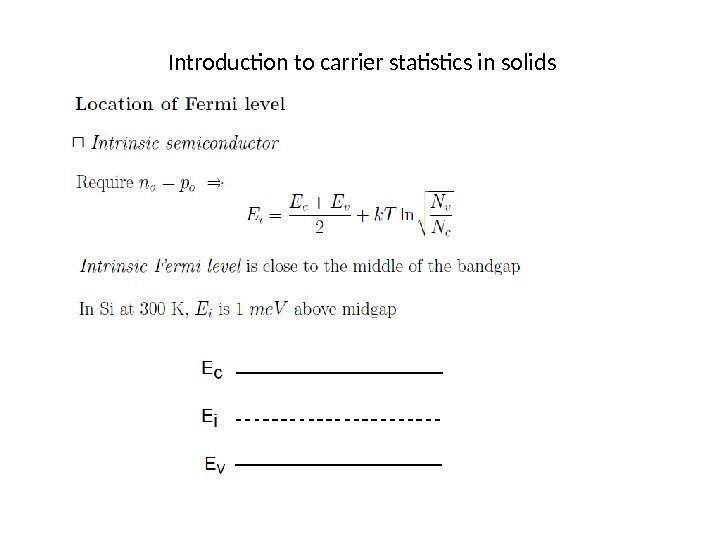 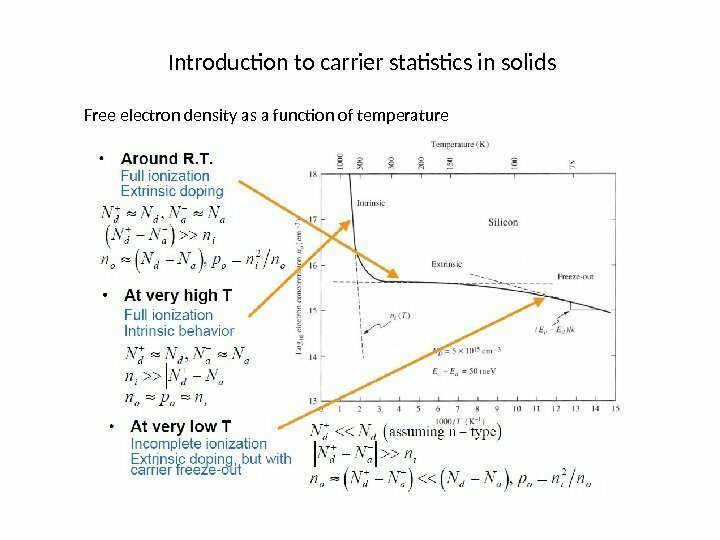 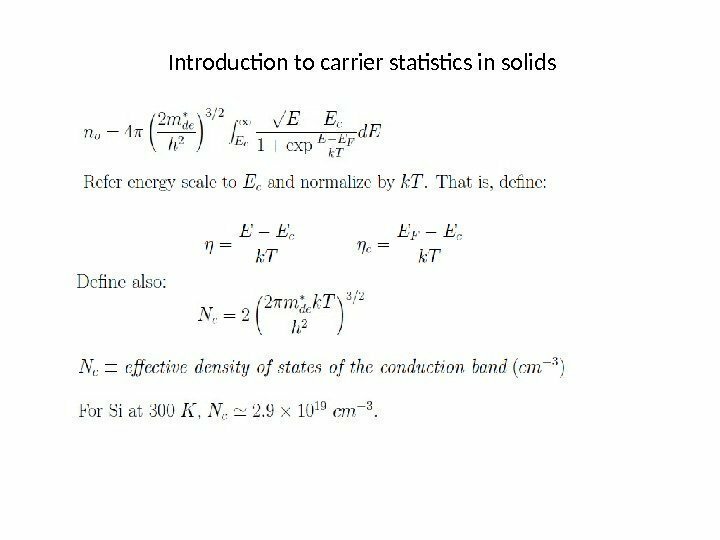 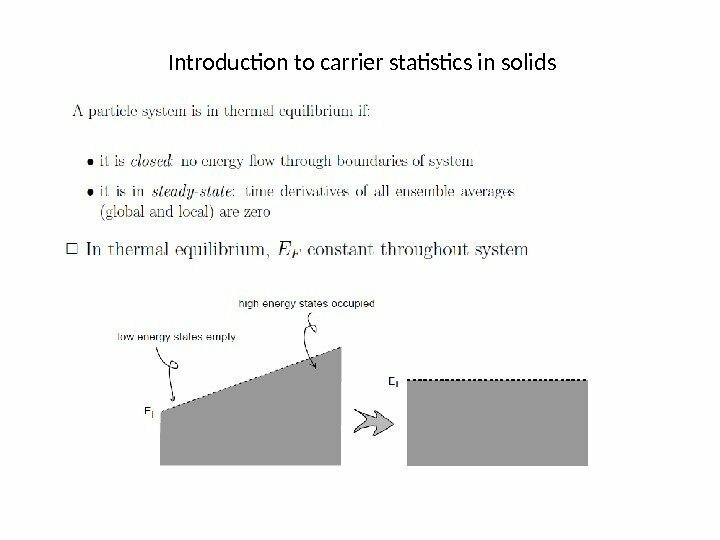 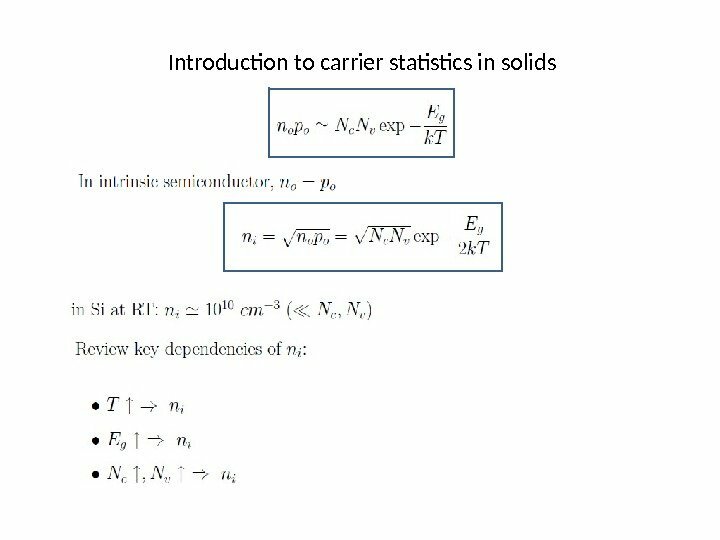 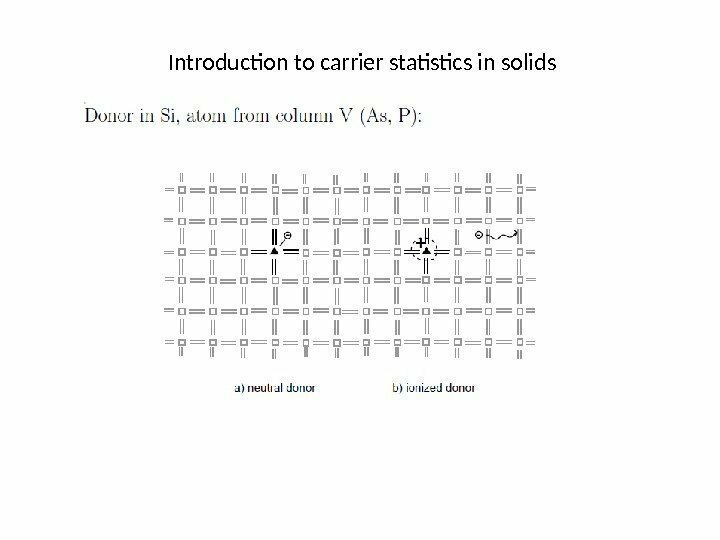 Contents: • Introduction to carrier statistics in solids. 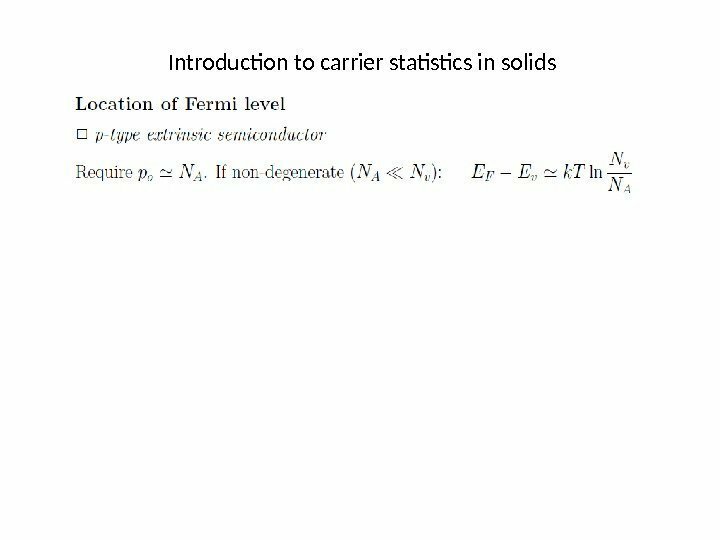 Fermi-Dirac distribution. 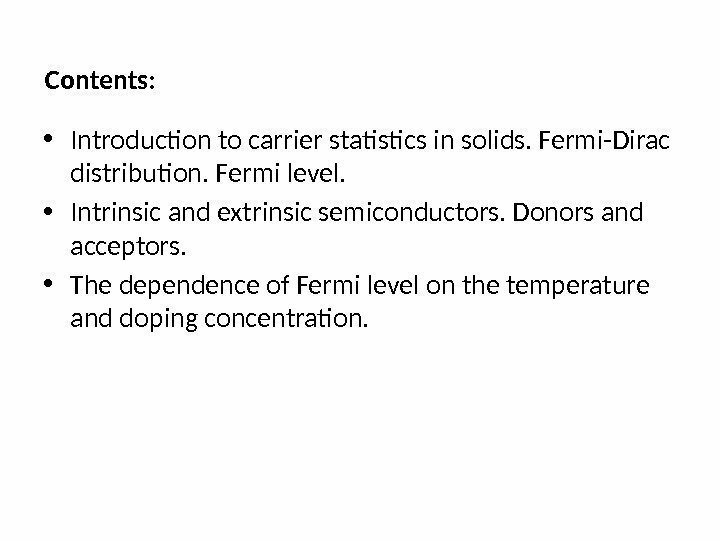 Fermi level. 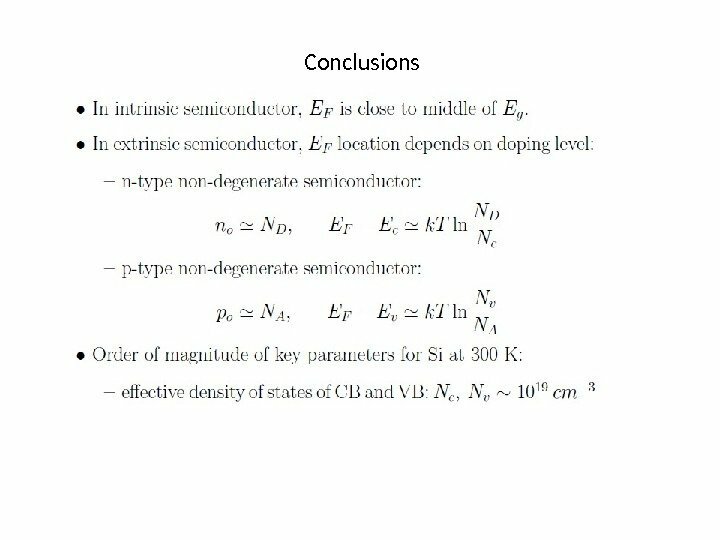 • Intrinsic and extrinsic semiconductors. 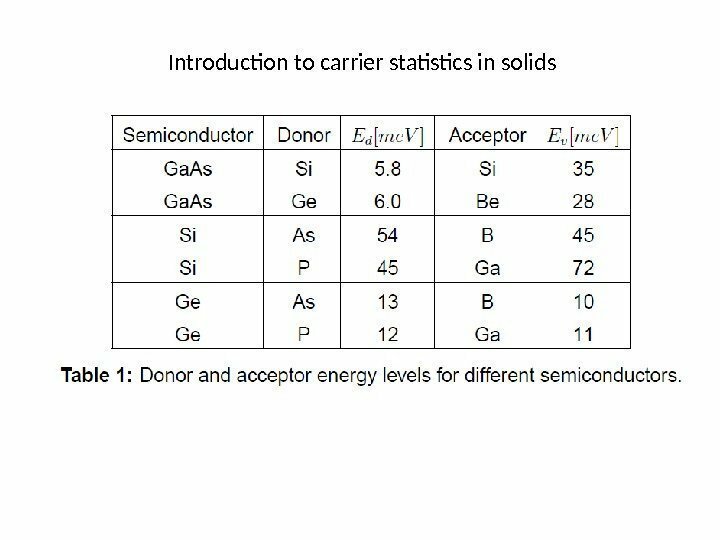 Donors and acceptors. 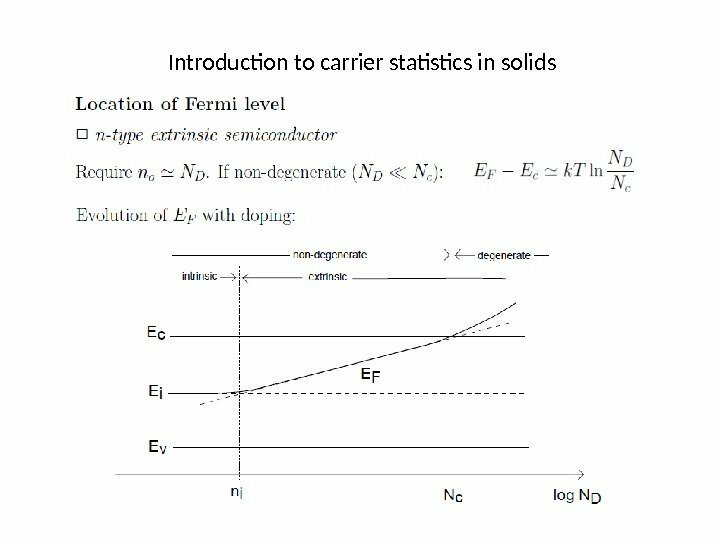 • The dependence of Fermi level on the temperature and doping concentration.